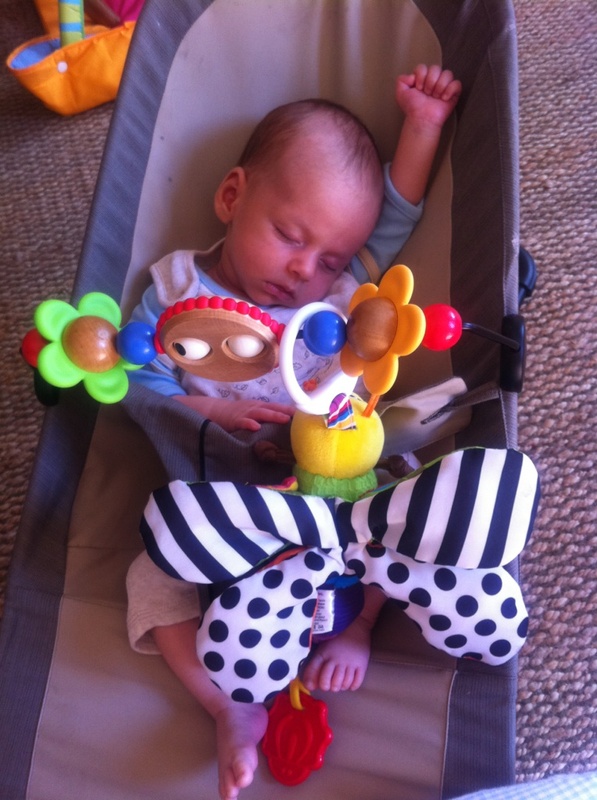 I swore blind that the Winnie the Pooh bouncy chair was the best thing our baby received as a gift, and indeed it was beautiful, soft and fun and it served him very well. Bouncers are so popular because it soon becomes obvious that it’s difficult to know where to put the baby when he or she is not in your arms and you want to run for a wee or put the kettle on – some of them from a very early age don’t like lying on their backs and missing the action. But the memory plays tricks. 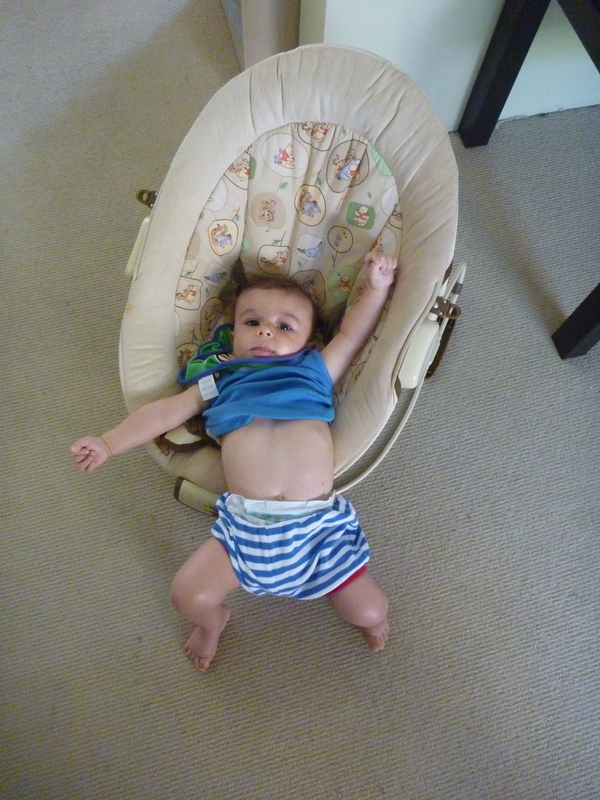 Second time around, having had to leave the first chair in Sydney for our move back to the UK, I fell foul of the gorgeous Baby Bjorn Babysitter Balance bouncer chair, way more expensive than alternatives, but lasts for up to TWO years (how economical!) and comes in an organic walnut/khaki material that matches my lounge rather better than the usual bright blue and green jungle prints or pallid pastels. It folds flat so you can sling it in the boot to take to friends’ houses or slide under the sofa or the stairs if you’re short of room. 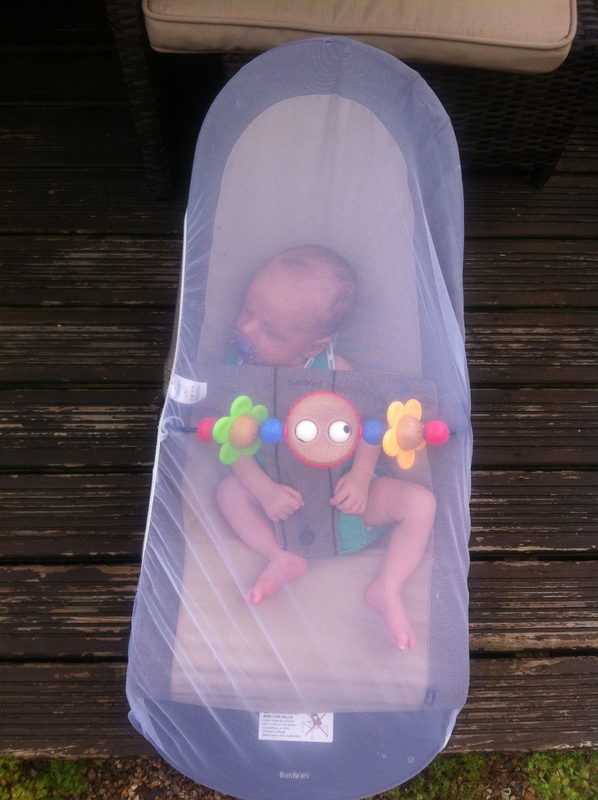 And BUB.2 sat in it a lot in the first few months, dozed in it a bit and even had his first few meals in it. Here he is relaxing in it with a fly net over him in the garden. And feeling like a superhero in it. Just lovely. Of course in my rush to have it I clean forgot that about the eight month mark when they can crawl and they don’t want to sit down. Ever. So it’s now being utilised as a trampoline by BUB.1, who did this with his beloved Winnie the Pooh model at six months old. So the moral is, don’t sweat too much about the bouncer and don’t assume your child will want to sit down, ever, once it knows it has legs.